2.Add red onion to same skillet with drippings; cook 3 minutes, stirring frequently. In small bowl, stir hoisin sauce, water and chili sauce. 3.Thinly slice steak across the grain. Evenly top cabbage leaves with rice, steak, red onion, green onion, cucumber and carrots; serve with sauce. 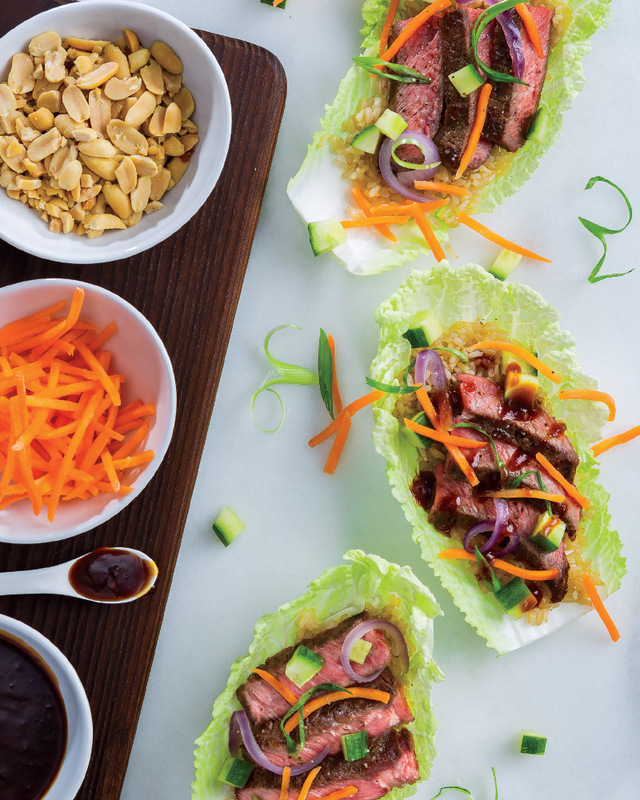 > Top off these wraps with dry roasted peanuts or cashews for added crunch.